What is it you love about the house and how do you keep it so well-manicured? I wake up in paradise every morning and get to decide how it’s going to look today! That’s a pretty nice thing. Really, the garden tells you what to do. As long as you follow its instructions then it works. And I’ve been doing it so long that it’s intuitive, second nature. Are there any parts that you have to work on most? When you work with a garden like this that has to perform everyday then you tend to go around it and see the things that hurt your eyes. And that’s what calls your attention. How would you describe Houmas House? Houmas House presents a picture of the 19th century, probably in a more familiar way than you would find anywhere else. The house itself accepts tourists as guests and the attempt is to make each person feel like a guest in your home, not another visiting head to be counted. The interior of the house has probably one of the finest private art collections on display in the South; there are pieces here that you just can’t see anywhere else and that is fabulous. Where do the gardens fit into that? 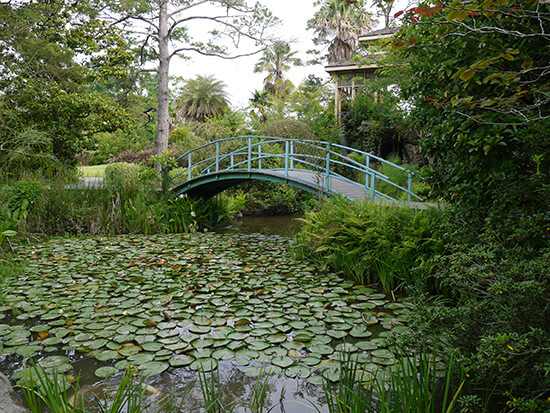 The gardens are ever-changing, the focus is that we have to look good everyday – which is not the same as every garden. 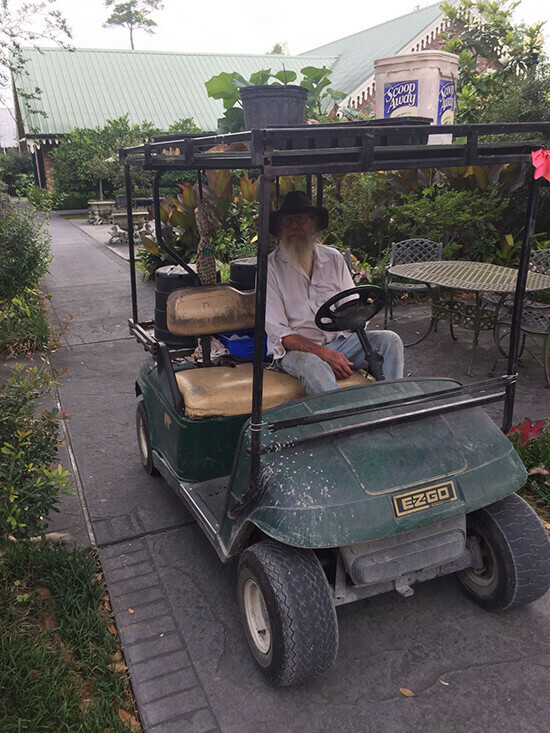 It’s not a mechanically manipulated garden, we follow the plants and we grow 50%, at least, of our own plants – we have the largest bromeliad collection that I know of that’s on display from spring until winter. We collect things to see what will work so, when you come to this garden, you can see plants that you can use and how they’re being used. 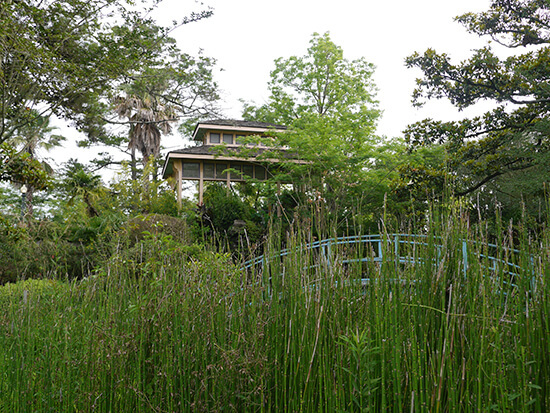 It’s a very mobile garden – everything is dynamic. We’re dealing with everything from low freezing temperatures to very hot temperatures. We’re constantly fighting that. This type of gardening was best described to me by a guy from England who said ‘gardening is a campaign’. It never ends, you stay with it. My style of gardening is to make it a jewel box ; I want you to turn the corner and find a jewel box, then turn another corner and find another jewel box. It keeps the excitement going as you walk through. What other challenges do you face with the garden? Every garden here has to be ready to be changed today. I have to have plants ready, I have to be able to turn a garden, if something fails I have to be there to fix it. 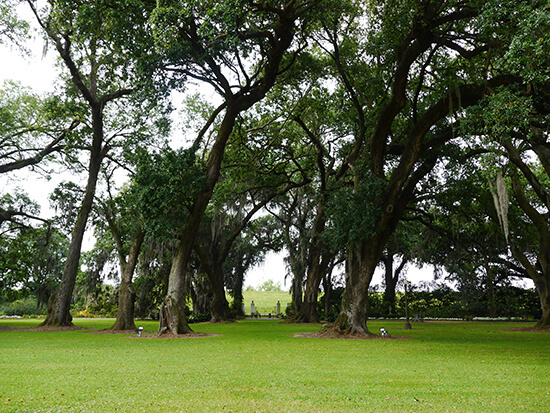 There’s also the fact you’re looking at 600-year-old trees – there’s not enough that you can say about a live oak tree, they’re stunning in the yard. 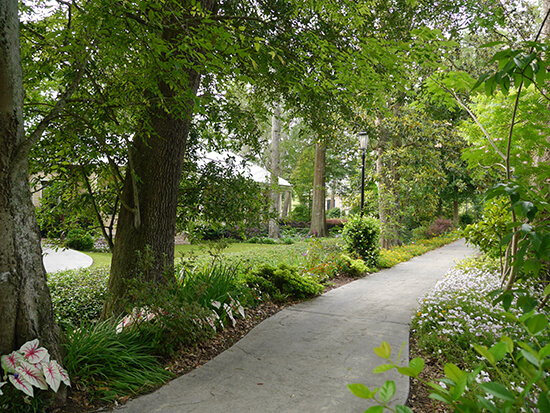 Is there a best time of year to see Houmas House and the gardens in full bloom? No! But I would say that February is the hardest time for me, because the climate is very changeable between December and March. I don’t know what freezes or what heat is coming. Gardening at that time of year is a little more difficult because you’re looking at the tail-end of a winter garden. If it works, which it normally does, then I’m in broad colour at that point in time – pansies, petunias, particularly vegetables. When that stuff works it’s really phenomenal. At the same time, this year I had three days of winter, all in February. It went down to 23ᵒF for two nights and froze again the third night – it had been 84ᵒF the two weeks before. So everything was awake and, when the freeze came, they were like ‘oh no’. As far as the best time to see the gardens… I try and make that every day. That’s my goal. 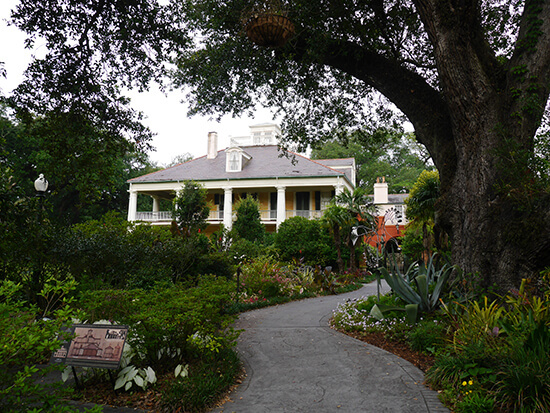 Discover the best of Craig’s beloved gardens for yourself on our New Orleans & the Plantations Journey – make an appointment with one of our Travel Experts to add Houmas House to the itinerary.